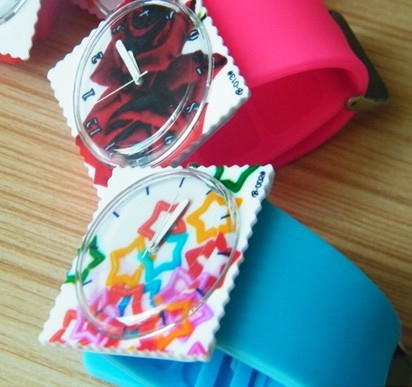 Stamp watches made of silicone material. Overseas. 9 1/2" L x 1 1/8" W. If need more cheap price ship by ocean, please freely contact us.